The resort town of Cabo San Lucas can be relaxing and buzzing with activity at the same time, with its great variety of shops, restaurants, beaches and exciting night life. Along with San Jose del Cabo our resort boasts world-class golf courses with wonderful mountain and ocean views on most all of the 15 golf courses within our area. Of course the most iconic and recognizable attraction we have is “El Arco”, the arch located at the southern tip of the Baja peninsula. This the exact spot where the sea of Cortez and the Pacific Ocean meet, coincidently behind Marina Cabo Plaza! 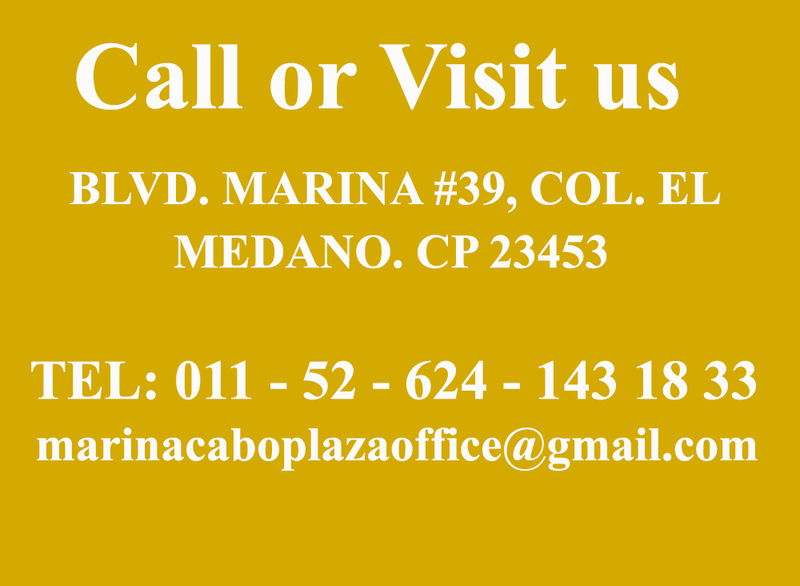 Marina Cabo Plaza is a condominium complex located on the Marina of Cabo San Lucas, surrounded by luxury yachts, fine restaurants, superb shopping, and one of the most enjoyable malacons in Mexico. The Marina features 380 boat slips and accommodates vessels up to 200 feet. 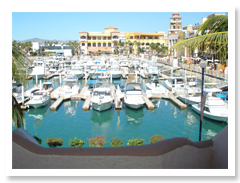 Marina Cabo Plaza’s exceptional location puts our visitors in the middle of all the action. We are a short walk to Puerto Paraiso mall and Luxury Avenue as well as the major downtown core with its famous bars and restaurants. There is a convenience store and pharmacy within the complex, great for any last minute purchases. We also have restaurants located within our complex. You can enjoy a tasty hot coffee and breakfast at Early Bird, watch your favorite pay per view sporting events while savoring delicious Mexican dishes in Mango Cantina, enjoy the gorgeous view while drinking a cocktail at Mis Sueños or catch up with your friends delighting the vast selection of beverages at the Wine House. There are fishing charters as well offering great prices for a day of fishing, Mucho Loco, Beto’s Sportfishing, Solmar Fleet and Redrum are the companies settled in Marina Cabo Plaza, you'll find that their experienced crew and complete gear will be the perfect help to catch those big game fish!